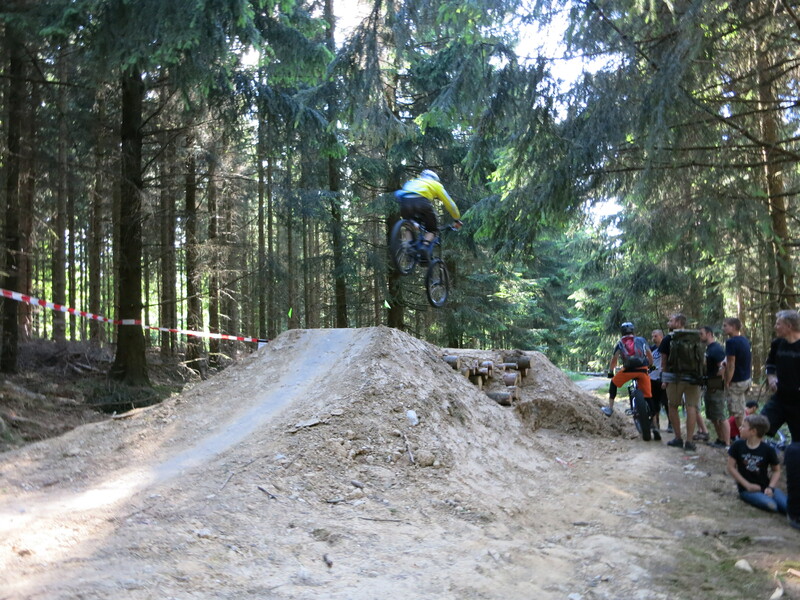 Feldberg Downhill Track Opened Today! 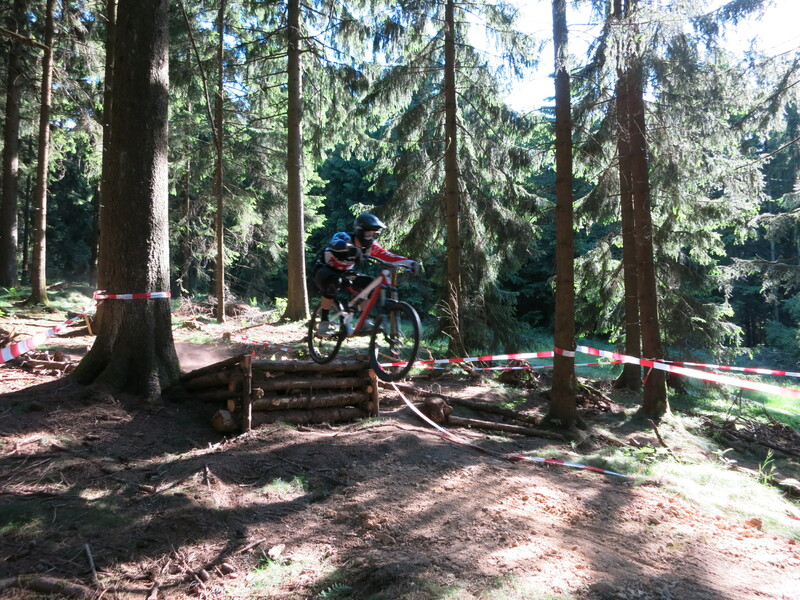 The Taunus range nearby Frankfurt is turning more and more into a mountain bike hot spot. Just a month after the introduction of the Stop-O-Mat, a time measuring system to document the time you need (running, hiking, cycling or biking) from the bottom to the top of the Taunus, the way down from the top of the hill got a great new option. 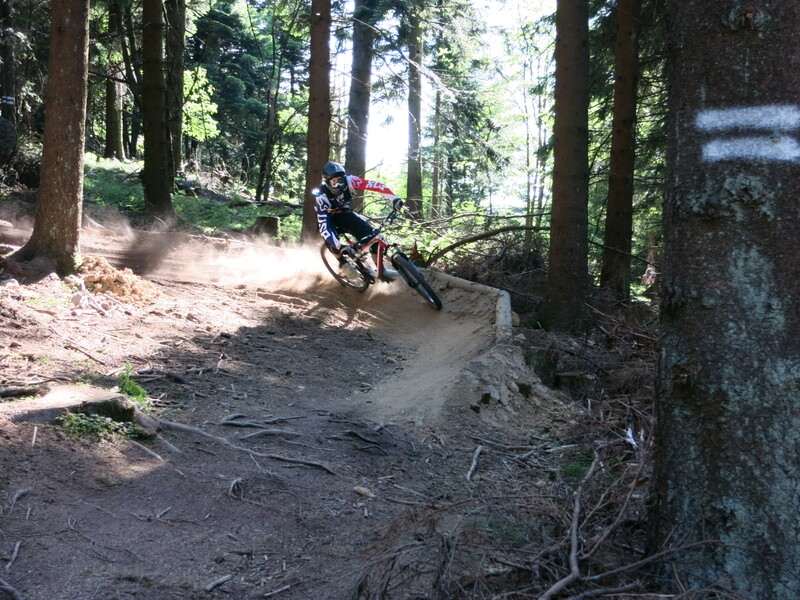 Of course there were a couple of nice (but unofficial) trails with jumps and berms running down the highest elevation of the Taunus, the Feldberg. 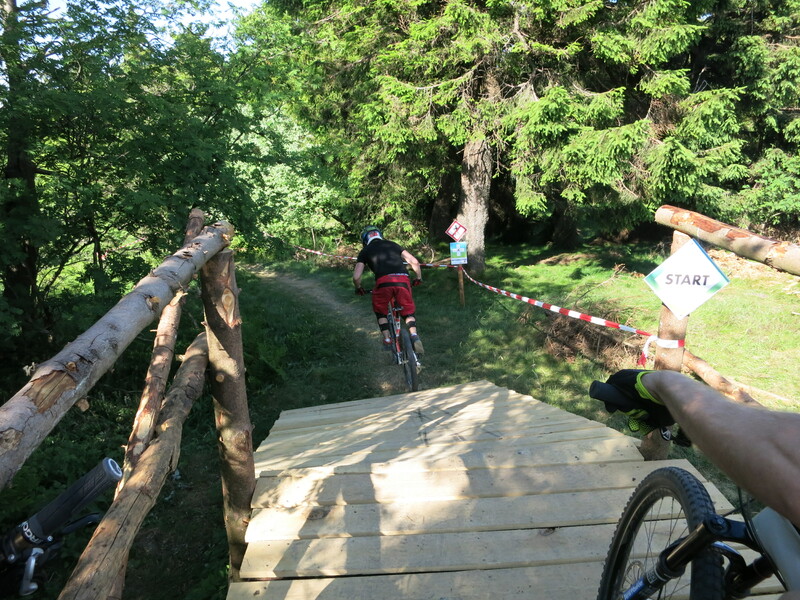 However, now we got the first official purpose-built mountain bike downhill track – thanks to the “Wheels over Frankfurt” club. 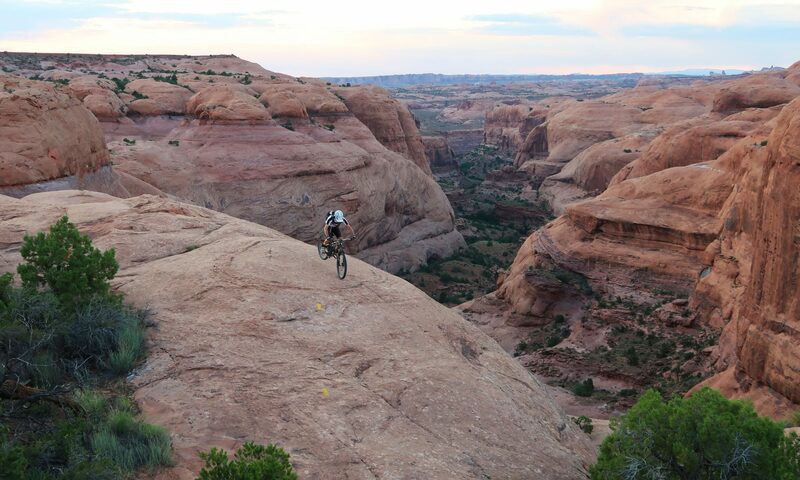 After all those political discussions about even banning mountain bikes from the forest, this infrastructural boom feels like a real happy end.